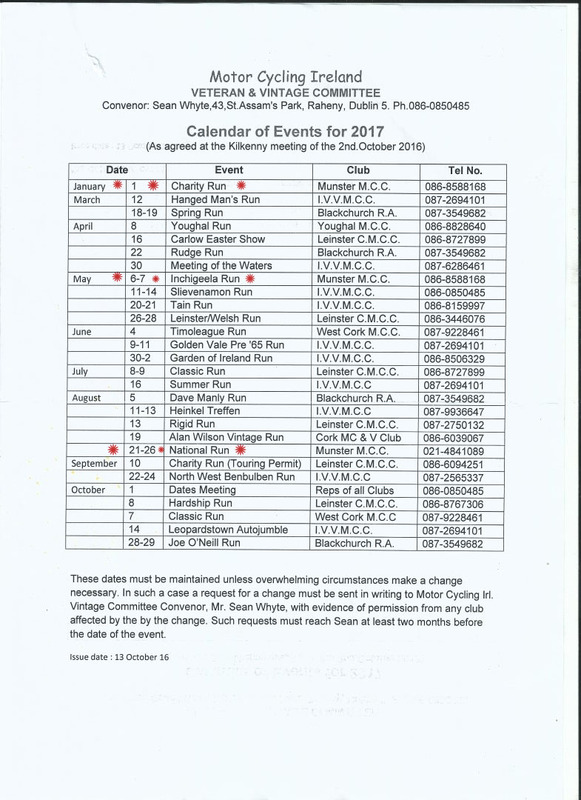 Below see dates for Motor Cycling Ireland fixtures. Make sure to write Jan 1st, May 6/7 and Aug 21/26 in your diary. NOTE; This is an amended calendar with slight changes form the original one posted. Calendar below is correct as of Oct 30, 2016.